Happy New Year everyone. Well that’s Christmas over so let’s look forward to a beautiful, sunny Spring which I know is coming! 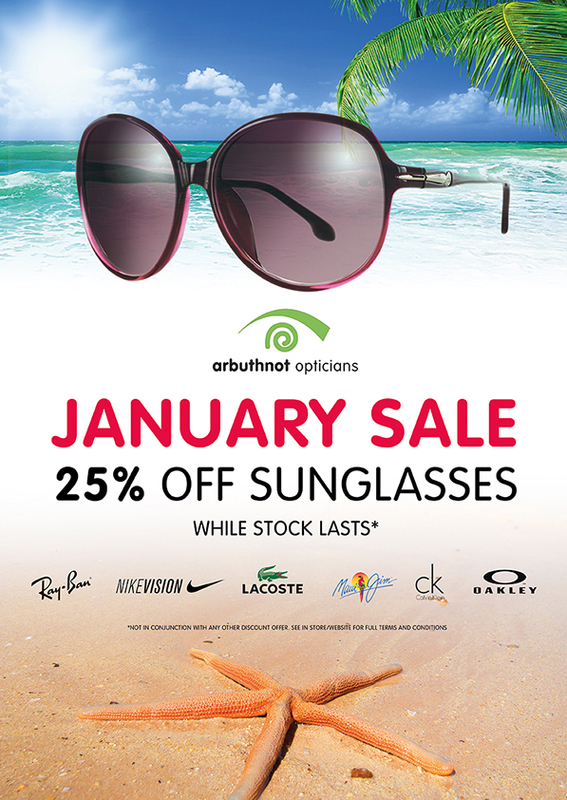 To celebrate the New Year we thought we’d offer you a great sale on our sunglasses. Whether you’re going skiing, enjoy a particular sport or just fancy a new fashionable look for Spring we’ve got plenty of choice at both our Barry and Penarth practices. 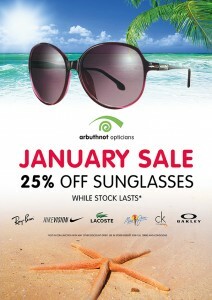 Come in and make the most of our January sale. It’s open to anyone and you don’t need to be a registered patient of ours to take advantage. Applies to our sunglasses currently in store and does not apply to special orders. Does not include Cazal Legends range. Not in conjunction with any other discount offer such as the EyeCare Plan. Whichever offer gives greater discount will apply. For prescription sunglasses, add ons may apply.